Scroll down to view all Cape Cod yearly rentals! Found one you love? Be sure to save it! Save rental listings, searches, and receive notification when a new year-round rental matches your search criteria- all by registering with our site. Contact the experts Seaport Village Realty today for help finding the Cape Cod yearly rentals that work for you. Settle in to the easy life at The Villages at Ocean Edge. This lovely 1 bedroom condo overlooks the stunning golf course and offers serenity in the immaculately kept association. Condo features open concept kitchen and living room with sliders to the private balcony, bedroom with balcony access and spacious bath as well as in unit washer and dryer. 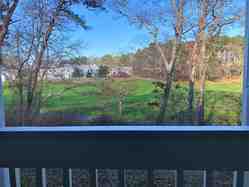 I have a question about the property at 61H Fletcher Lane Brewster MA 02631 (#X93889122). I would like to schedule a visit for the property at 61H Fletcher Lane Brewster MA 02631 (#X93889122).